Picking the right powered wheelchair can be a difficult task, especially with the many brands, varieties, and configurations of Powered Wheelchairs available on the market. 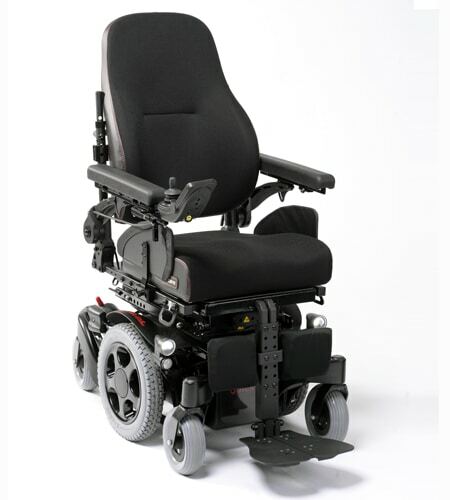 Motus Medical specialise in helping you choose the right powerchair to suit your unique needs and requirements. As part of our standard service, Motus Medical will assess your seating, home and lifestyle requirements and pick out the right chair to suit. 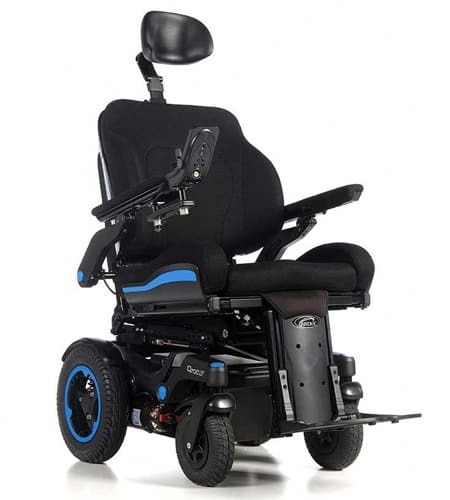 Motus Medical holds close relationships with some of the leading names in powerchair manufacturing including Sunrise Medical, Invacare, Ottobock and Pride Quantum. With such as close relationship, we work closely with these manufacturers to support and maintain your powerchair throughout its life on the road. The evolution of mid-wheel drive performance. The standing wheelchair to elevate your experience. 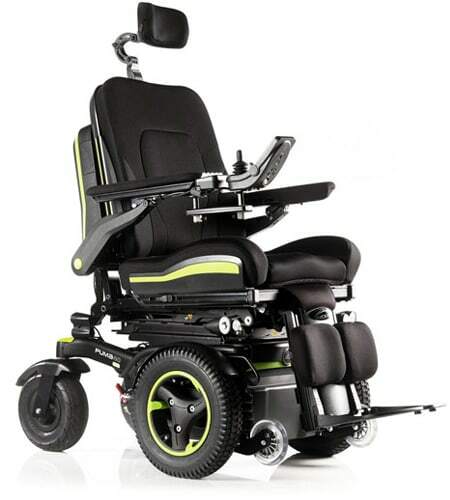 The compact and powerful electric powered wheelchair. The Ultimate Front-Wheel Drive Experience! Comfortable drive with biometric repositioning. High-end performance with outstanding adaptability. The Narrowest mid-wheel powerchair on the market! Boasting unrivalled durability and ultimate performance! The Ultimate Rear-Wheel Drive Experience! Putting the quick in Quickie! The ultimate powered wheelchair driving experience. 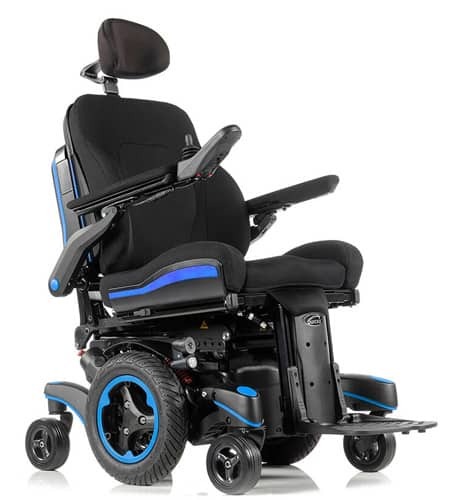 The latest evolution of Quantum Q6 power chairs. There are a variety of choices when it comes to wheelbase configuration. 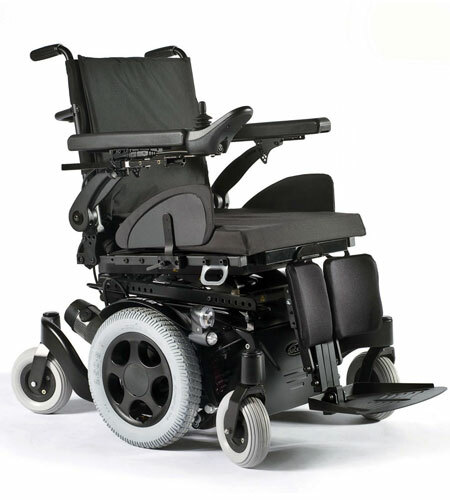 The most common forms found in today’s powered wheelchairs are mid and rear-wheel drive. To make the right decision, you need to consider your lifestyle, condition, environmental and clinical arrangements, in addition to factoring in each type of wheelbase’s positives and negatives. 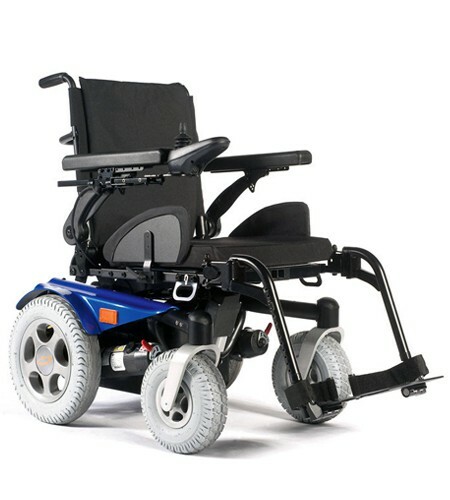 The most common form of wheelbase found in modern day powerchairs is mid/centre drive. Often called the “latest evolution” of drivetrain configuration, the mid-wheel drive wheelbase offers the smallest turning radius of all the configurations. Mid-wheel chairs offer the closest movement pattern to that of walking. 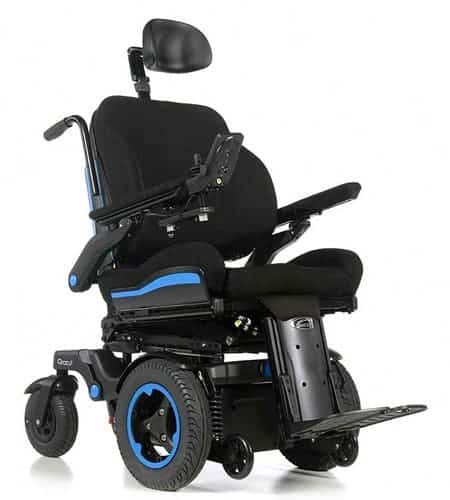 Rear wheeled powerchairs are considered the patriarch of the powerchair market. Best suited for outdoor use, these types of chairs can tackle aggressive terrain, deep grass and uneven terrain. If you spend most of your time outdoors, then rear-wheel drive powered wheelchairs are better suited. 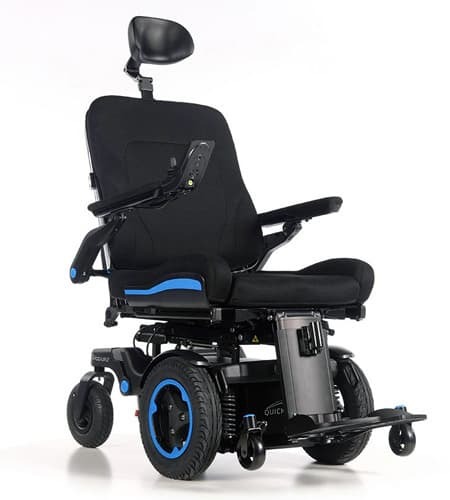 For impartial advise on picking the right powered wheelchair please see the RICA website.